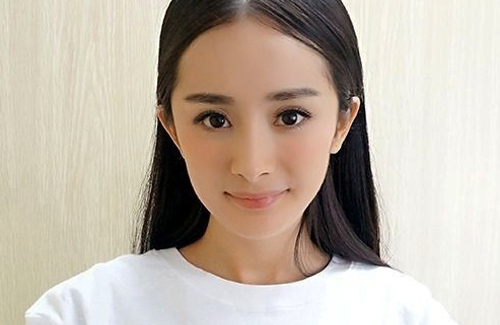 Although newlyweds Yang Mi (楊冪) and Hawick Lau (劉愷威) have yet to confirm the rumors that Yang Mi is pregnant, the actress’s recent behavior on set and in interviews seems to confirm that she is indeed expecting. While in Beijing filming the upcoming film Breakup Guru <分手大師>, which will be actor Deng Chao’s (鄧超) directorial debut, Yang Mi was seen on set with no makeup on and sporting snow boots. The media observed her walking very carefully, as if to prevent unnecessary strain. During an interview afterward, Yang Mi let out a smile when the media asked her about the pregnancy rumors. Though she did not verbally confirm or deny the allegations, many suspect that her smile equals a silent affirmation. According to a rumor posted on Sina Weibo, Yang Mi is expecting twins. Although she was not singled out by name in the online post, the netizen did call her a “queen” and added that she had originally planned to appear in a big-name sequel but had to drop out due to the pregnancy. This coincides with Yang Mi’s situation, since it is alleged she will not appear as the female lead in Tiny Times 3 <小時代3>, the third installment in author/director Guo Jingming’s (郭敬明) highly anticipated Tiny Times film series. There has been no official word on if Yang Mi will be returning or be replaced. However, the cast and crew, the majority of which remain the same as in the previous two films, have already begun filming in Rome. In response to the pregnancy speculations, Yang Mi’s spokesperson laughingly said, “[Having babies] is part of [her and Hawick’s] plan. When they have good news, they will announce it!” Hawick’s father, TVB actor Lau Dan (劉丹), appeared overjoyed by the possibility of pregnancy, saying that he would be happy with a single grandchild or with twins. 14 comments to Yang Mi Silently Confirms Pregnancy? OK, if she is pregnant, wish her and the baby healthy. God bless. BTW, she have weird looking hook nose, like parakeet nose. But still looks good. Actually, she looks pretty good plastic or otherwise. Haha… She actually looks young in above pic. She is actually pretty natural but did have some minor enhancements on her nose. Her nose used to stick down even more so I heard that got it shaved down. Twins? So many twins? Or IVF? Can’t be. Still young. But nowadays so many people pregnant with twins. They are a cute couple!!!! Congrats if it’s true!!!! If true happy for them looking forward to see their adorable and beautiful baby; both are good looking ppl. I don’t think she looks very natural as a person ……….. more like a doll to me. I always think she and Viann Zhang look alike but with a much better character. In life, it’s hard to find the right person to spend the rest of their life with, so I wish them the best.